As the city staggers back to life, a chain reaction of extraordinary events will touch each of the survivors.... For Sarah, it begins with the discovery of a crime and a betrayal, then a strength she never knew she had. For Melanie, volunteering at a refugee camp will open new worlds of possibility. And Everett will be shaken by the unlikely relationship he forges with Maggie, who helps him rebuild his shattered life -- and upends her own in the process. But as a year passes, and the anniversary of the earthquake approaches, more surprises are in store -- as each discovers the unexpected gifts in a tragedy's wake...and the amazing grace of new beginnings. 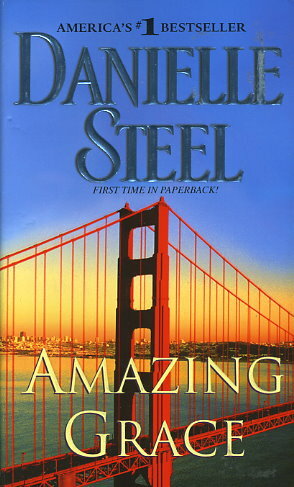 Throughout these enthralling pages, Danielle Steel creates a stunning array of contrasts -- from the dazzle of a society benefit to the chaos of a makeshift hospital, from the pampered lives of rock stars to the quiet heroism of emergency volunteers. It is her most powerful and life-affirming novel to date.